Life Link III has a dedicated, medically-configured airplane ready at all times and has access to additional aircraft for further support. Airplane transportation may be an option for your patient if the transport distance is greater than 150 miles or if helicopter transport is limited by weather. With just one call to the Life Link III Communication Center you can arrange bedside-to-bedside transport for your patient. 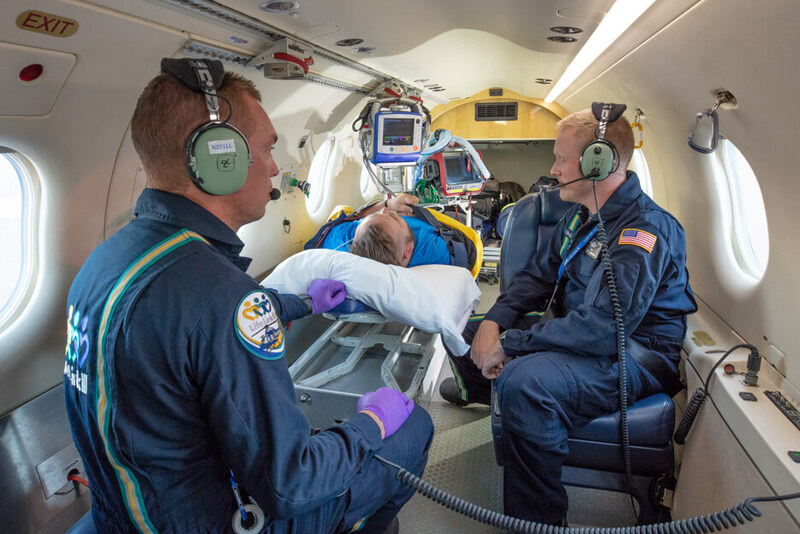 Airplane transportation is available for all types and ages of patients including neonates and those who require circulatory support requiring ECMO and balloon pumps. Our fully-equipped medical cabin includes state-of-the-art medical equipment and the ability to transport specialty teams to ensure the highest level of patient care. Life Link III’s transportation services are accredited by CAMTS (Commission on Accreditation of Medical Transportation Services), ensuring the highest standards of quality and safety are met on every transport. 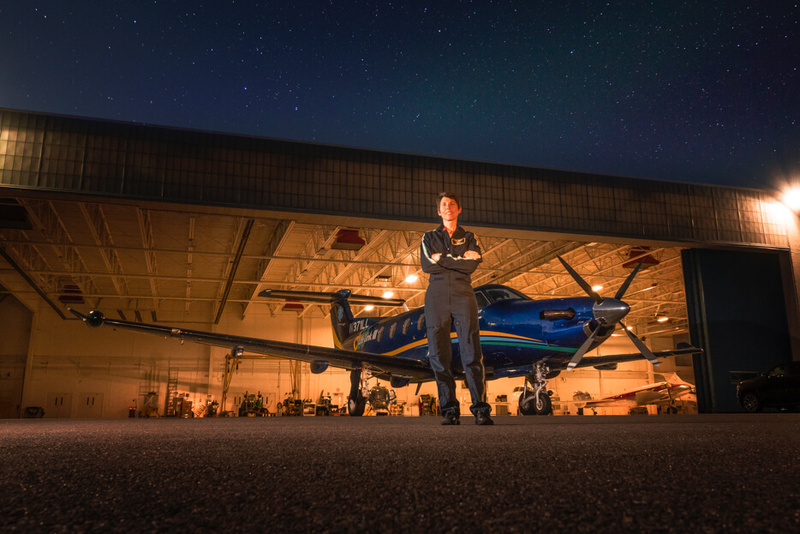 Learn more about the Pilatus PC-12 HERE. Airplane transports are staffed by registered nurses and/or paramedics. Life Link III’s advanced providers have years of hospital intensive care, emergency room or 911 experience. Our clinical staff members undergo extensive, continual in-service education to ensure the most advanced critical care and technology are provided to any patient requiring specialized care. If needed, specialized teams and/or physicians will accompany Life Link III transport team members. Pilots are experienced aviators and have each logged thousands of hours of flying time. They also take on-going recurrent training in their respective areas. Aviation Services Provided By Air Methods, Inc.